Our adoption program works to ensure that all children and teens have the opportunity to grow up in a safe, healthy, loving family that provides unconditional love, a sense of security, and a community to call their own. 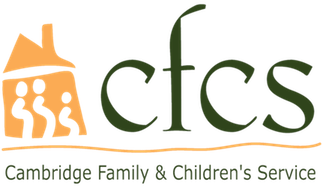 We work exclusively with children and teens who are currently in the custody of the Massachusetts Department of Children and Families, and with individuals and couples who hope to adopt those children. We encourage anyone interested in providing a permanent home for a child or teen in foster care to apply. We work with single adults as well as with married or partnered couples. Gay, lesbian, bisexual, and transgendered individuals are welcome at CFCS, as are families of any racial, ethnic, or religious background. Both renters and homeowners are eligible to adopt, and we do not have a minimum income requirement (families are required to have a stable source of income that will adequately provide for a child). There are no fees to adopt a child from foster care. US citizens and immigrants with proper documentation are eligible to adopt. We understand that creating a family through adoption requires both sensitivity and commitment. Families adopting children and teens who have experienced trauma and loss require specialized education and support in order to best meet the needs of their children, and children need support and understanding as they adjust to becoming a member of a new family. Our adoption social workers understand the complexities and challenges for everyone involved in the adoption process, and are dedicated to providing the kind of unique help and guidance required. For more information about our Adoption program and becoming an adoptive parent, contact Director of Family Services Sarah Medrano-Palmer at smedrano-palmer@helpfamilies.org or 617.876.4210 x4060. When you give to the Adoption program, you're helping a deserving child find a loving family of their own. To support a child in need, click below to make your donation.